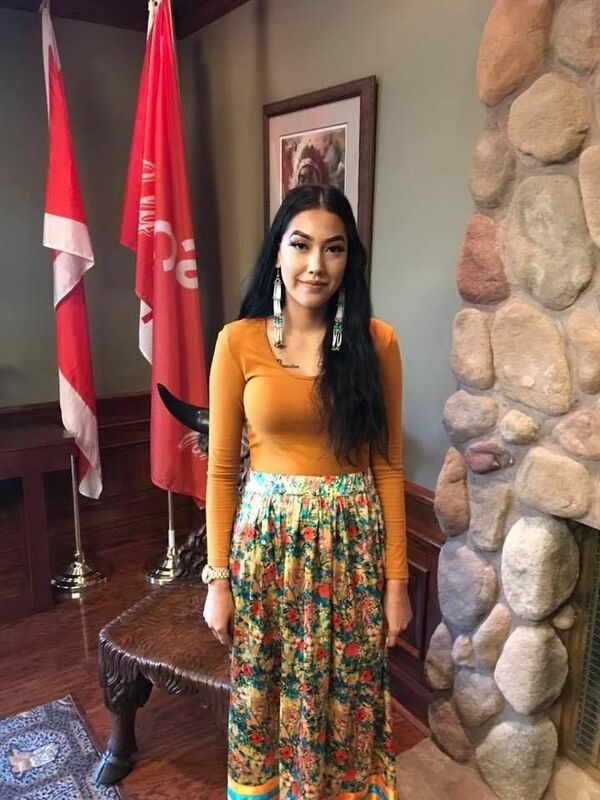 Calgary – The Calgary Stampede is proud to announce Astokomii Smith, from Siksika as the 2019 First Nations Princess. Earlier today, a transfer ceremony was held where Cieran Starlight, the 2018 Calgary Stampede First Nations Princess ended her reign and passed the new crown to Smith. For the past two weeks, six young women participated in the competition which included public speaking and performances of traditional dance. Smith is a 19 years old, a Fancy Shawl dancer from the Siksika First Nation. She recently graduated from Siksika Outreach and received the Governor General's Award for Highest Academics and is currently the Indigenous Liaison for the Town of Strathmore . Her name, Astokomii (which is in Blackfoot) translates to "Calling Thunder" and "Voice of Thunder". She attends ceremonies and pow wows with her grandmother and was initiated into the Medicine Pipe Society. Smith strives to be a role model for the younger generation and believes that our mental and physical health should be put first and that education is our new way of survival. 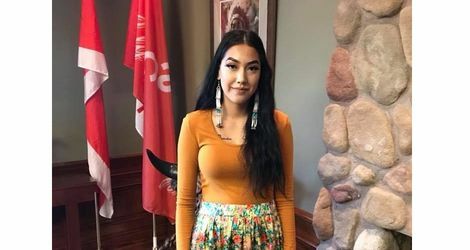 The Calgary Stampede First Nations Princess represents all five nations of Treaty 7 - Kainai, Tsuut’ina, Stoney Nakoda, Siksika and Piikani – as well as Elbow River Camp at the Calgary Stampede. The 2019 First Nations Princess will make hundreds of appearances locally, nationally and internationally throughout her reign, educating those she meets about First Nations cultures as well as their connections to the iconic Calgary Stampede.